You don’t have to be stuck with just the veggie tray. 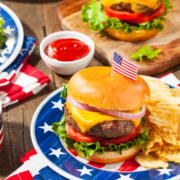 There are numerous healthful options to choose from during the summer cookout months, so there’s no need to be left out of the fun or go home hungry. Whatever meat you wish to grill, I recommend that you marinate the meat before grilling. Even your ground beef can be marinated – and taste great. Doing this before grilling can reduce the effects of Advanced Glycation End products, which develop when fat and sugar are cooked at high temperatures and have negative effects on your cells. Grilling with indirect heat – putting the coals on one side of the grill and the meat on the grate away from the coals to cook more slowly – reduces the AGEs you are consuming. It’s an easy adjustment. 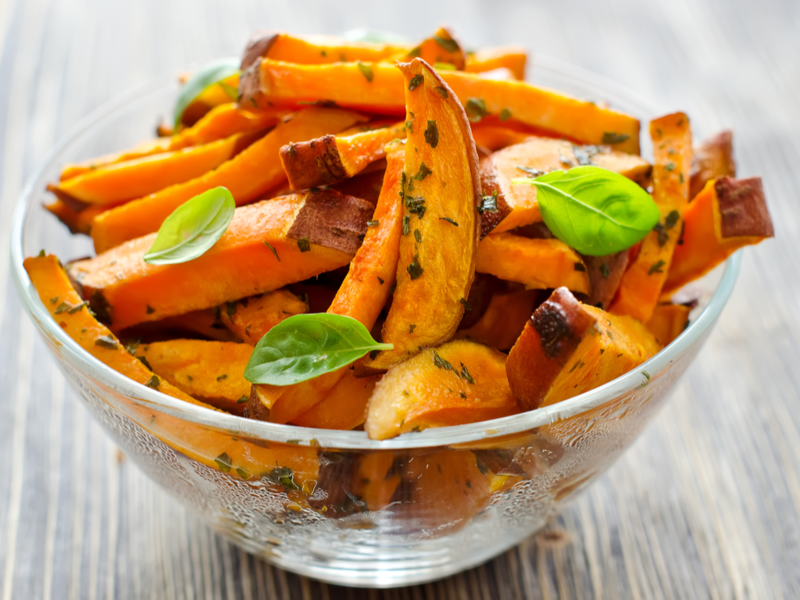 Skip the regular french fries and lean towards the healthier option — how about some baked sweet potato ‘fries?’ They have a higher nutrient profile, and since you are baking them, fewer calories! Cut them long like traditional fries, or slice across the sweet potato to make coins. You can even toss them in a little olive oil and sprinkle with your favorite season, then cook them on the grill in a grill basked for a crispy option. Shish kabobs taste great during the summer. Adding zucchini, squash, red onion and mushrooms make this a deliciously healthy and easy to hold meal. If you desire animal protein for your shish kabobs, add chicken or shrimp in between your veggie layers. Drizzle with olive oil or your favorite BBQ sauce on, and you’ve got yourself a delicious and healthy meal. Spread four large tortillas with your favorite hummus and lay an assortment of thin strips of red and yellow bell pepper, julienned carrots, shredded red cabbage, spinach leaves and shredded chicken on top. Roll up tightly and slice into pinwheels so you can share! Eating healthfully through the summer months does not have to be hard. With just a few minor adjustments, you can turn many dishes into a delicious and healthy meal without skimping out on the flavor at all! And there are allowances for occasional splurges provided they don’t get carried away. So give these a try at your next BBQ, you will not be the only one who enjoys these dishes. Let me know what you like!